angelitzmin - CORPORATIVO DE SERVICIOS ESPECIALIZADOS GLOBAL WORLD ARGS” S. A. DE C. V.
AGRADEZCO A LA EMPRESA CORPORATIVO DE SERVICIOS ESPECIALIZADOS GLOBAL WORLD ARGS” S. A. 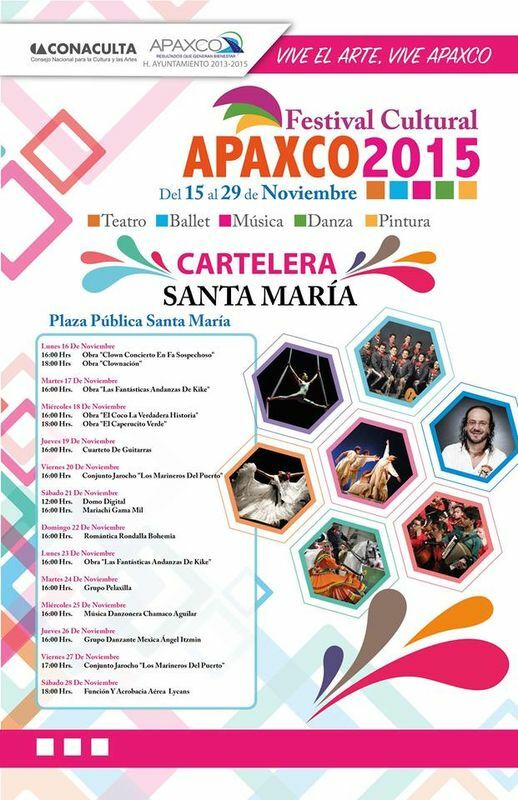 DE C. V., POR HABERNOS INCLUIDO EN SU PROYECTO FESTIVAL APAXCO 2015, ANTE EL CONSEJO NACIONAL PARA LA CULTURA Y LAS ARTES (CONACULTA). HOY SECRETARIA DE CULTURA Y AL FONDO NACIONAL PARA LA CULTURA Y LAS ARTES (FONCA), POR HABERNOS SELECCIONADO PARA DICHO EVENTO.